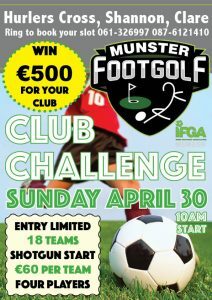 Munster Footgolf is hosting the first of its Club Challenges for 2017 where 18 teams will do battle for a top prize. 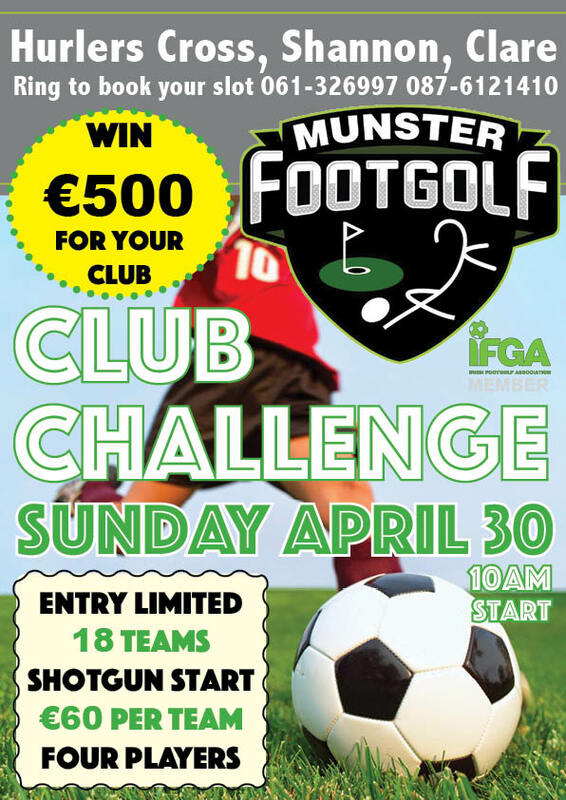 Teams of four footgolfers can enter the competition for €60 per team and be in with 18/1 chance of winning €500 for their nominated sports club. 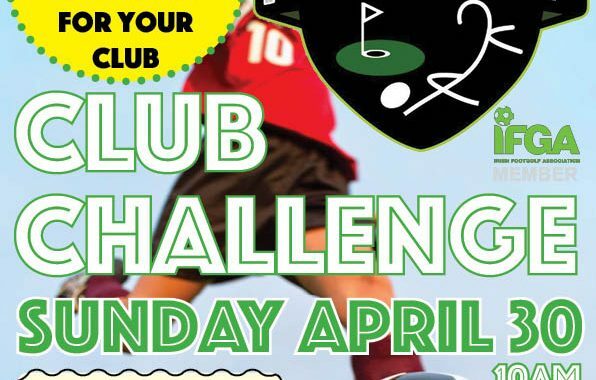 With a shotgun start from 10am on Sunday April 30, 18 teams will tee off together around the course and complete the 18-hole course with the lowest team score scooping the top prize. Posted in Competitions and tagged featured.